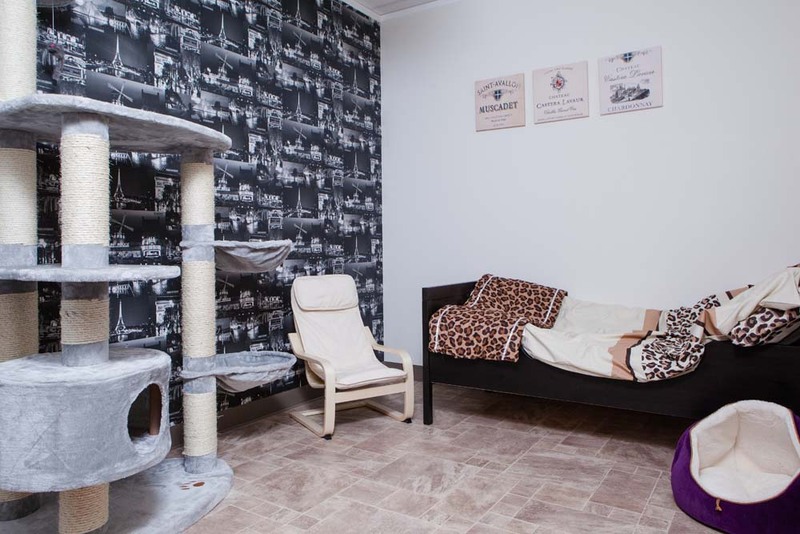 Our largest, most luxurious suites, the Royal Mews have over 348 sq ft of accommodation – bedroom 13.2ft by 13.2ft and garden room 13.2ft by 13.2, which gives plenty of space to play, hide, sleep and sunbathe. The suites have single beds with a soft duvet and pillow to snuggle up on, plus plenty of other sleep spots including our luxurious and very popular retro pet nests. Each suite has it’s own TV with a choice of DVD’s. 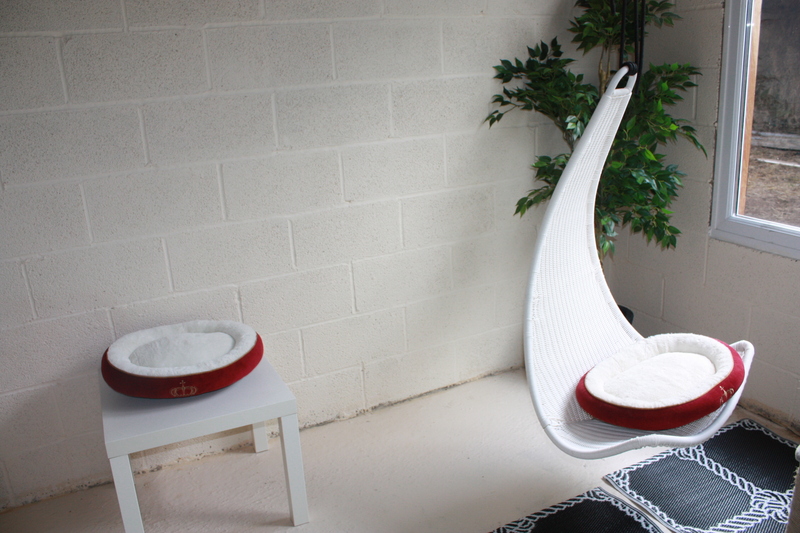 The garden room has a swinging hammock, trees, climbing frames and sun lounger. These two suites have an extra window overlooking our beautiful paddocks where the donkeys play. There are also wrens nesting in the tree right outside the window – cat heaven! 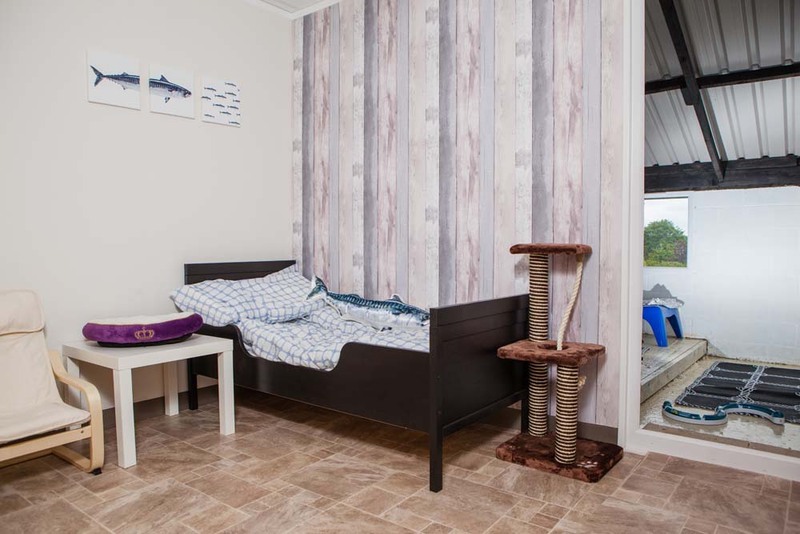 Television, radio and many stimulating cat toys and games are provided in each suite. 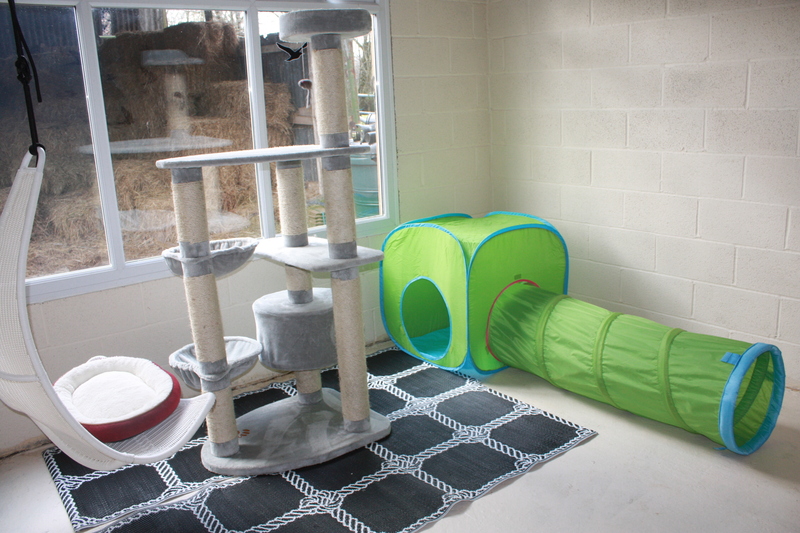 There is plenty of space for large cat families or just a treat for your adored friend. 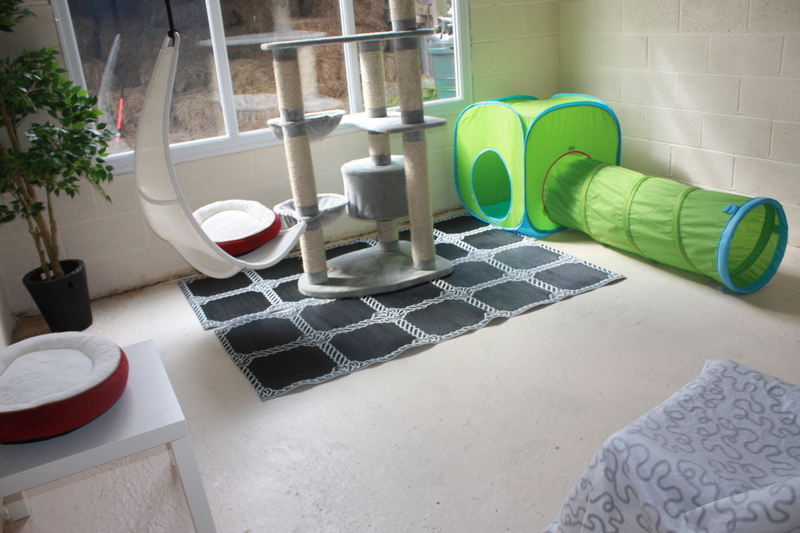 Ths extremely large suite is priced at £36.00 per day, with additional cats from the same family costing £8 per guest. The price is all inclusive of heating, insurance, dry food, treats, love and cuddles. Like us on Facebook or Tweet about us and we will upload a photo album for you to share with friends and family. 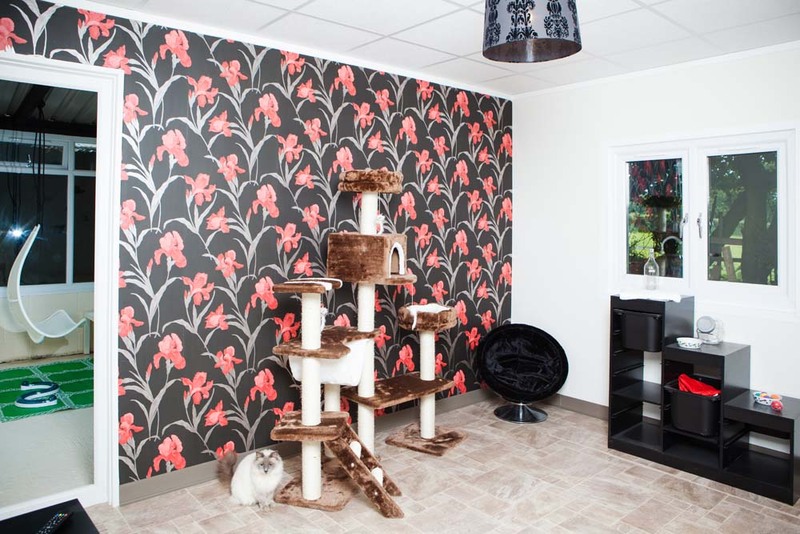 "The Best Luxury Cattery I have ever seen!